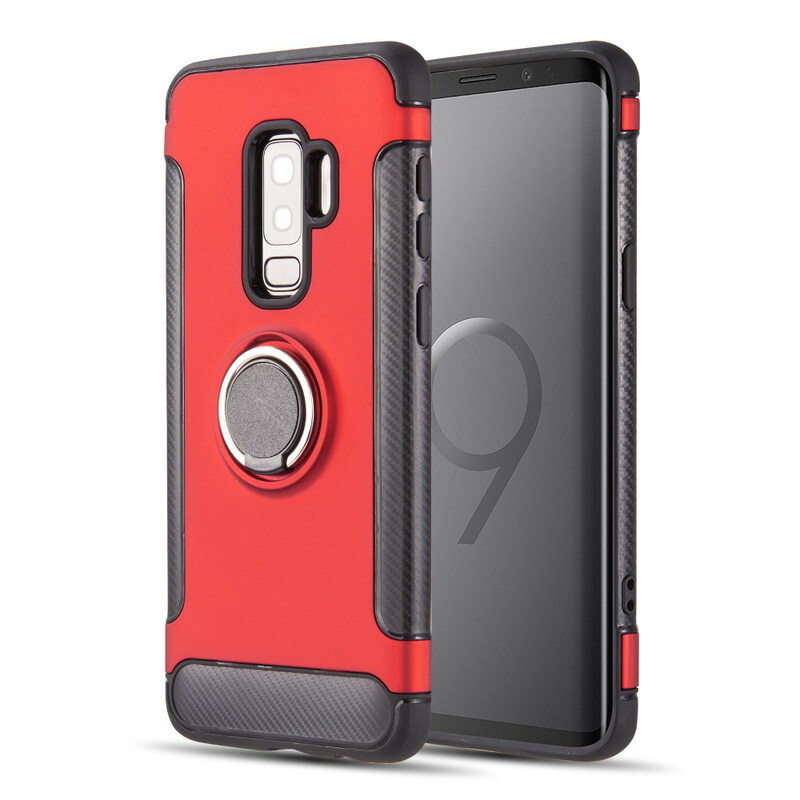 [Samsung Galaxy S9 PLUS] Redshield Carbon Edge Sports Hybrid Case with Circo Magstand [Red] If you are looking to provide the ultimate protection for your Samsung Galaxy S9 PLUS, then think about shielding it up inside this fashionable Red & Carbon Fiber Design Edge 2 layer case with a unique look! With a built-in ring stand, you won't have to worry as much about dropping your phone! Dual layers for high level of protection: Made of quality PC+ TPU materials and crafted with refined details. 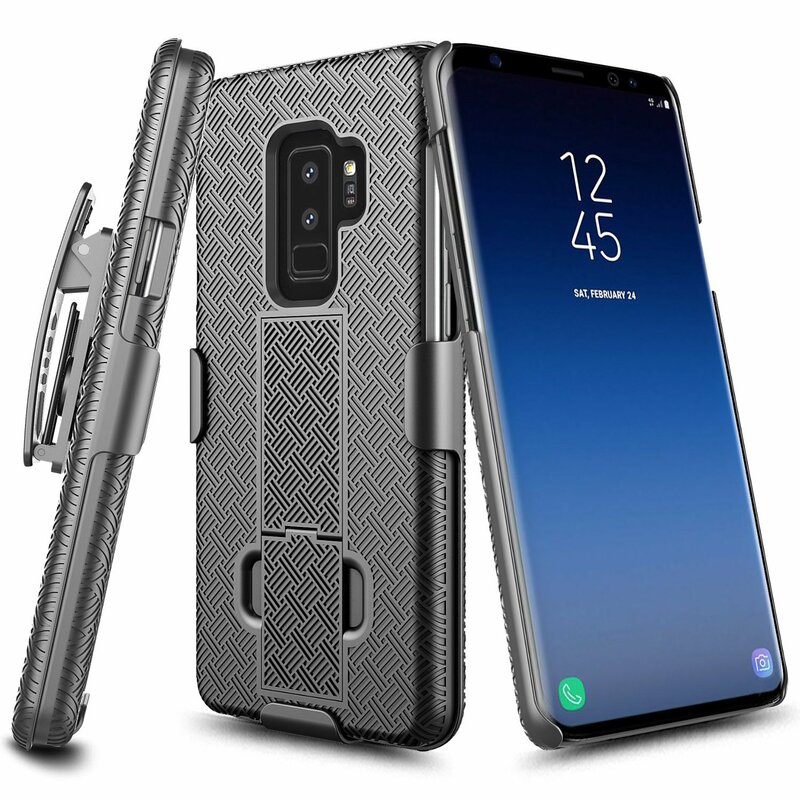 Built-in ring stand is perfect to hold your Samsung Galaxy S9 PLUS, or it also doubles as a stand. 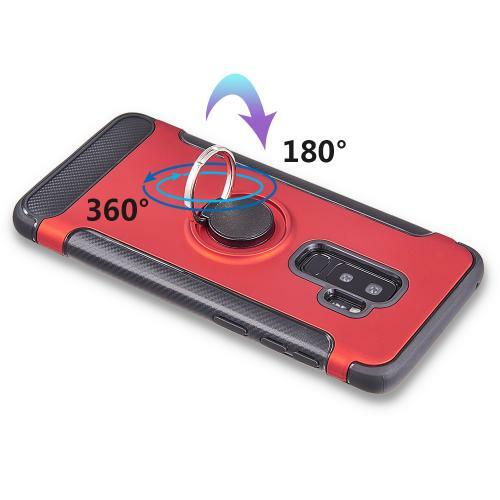 Features a magnetic back plate, so use it with your favorite magnetic car mount! 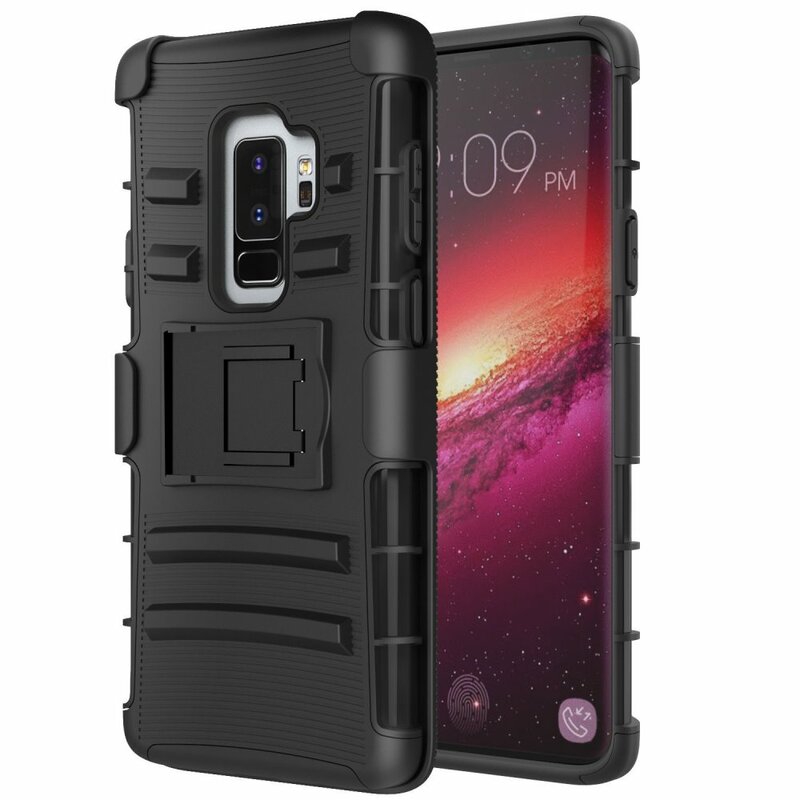 This protective case is easy to install and remove without causing any scratches to your fancy new device. 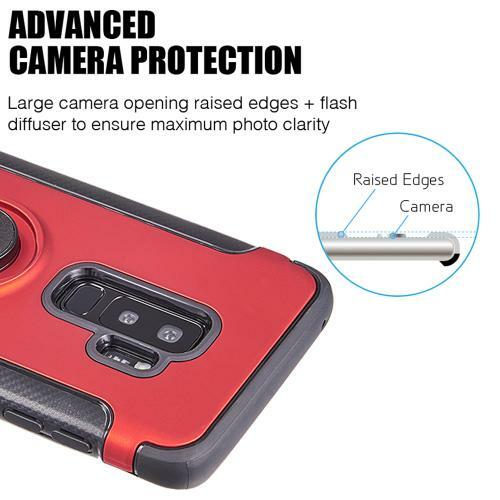 This stylish case is lightweight and durable for an extra-long service life. 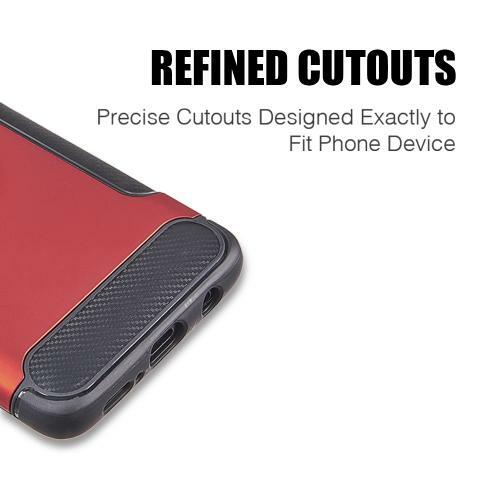 The excellent cutouts allows easy access to all ports and functions. 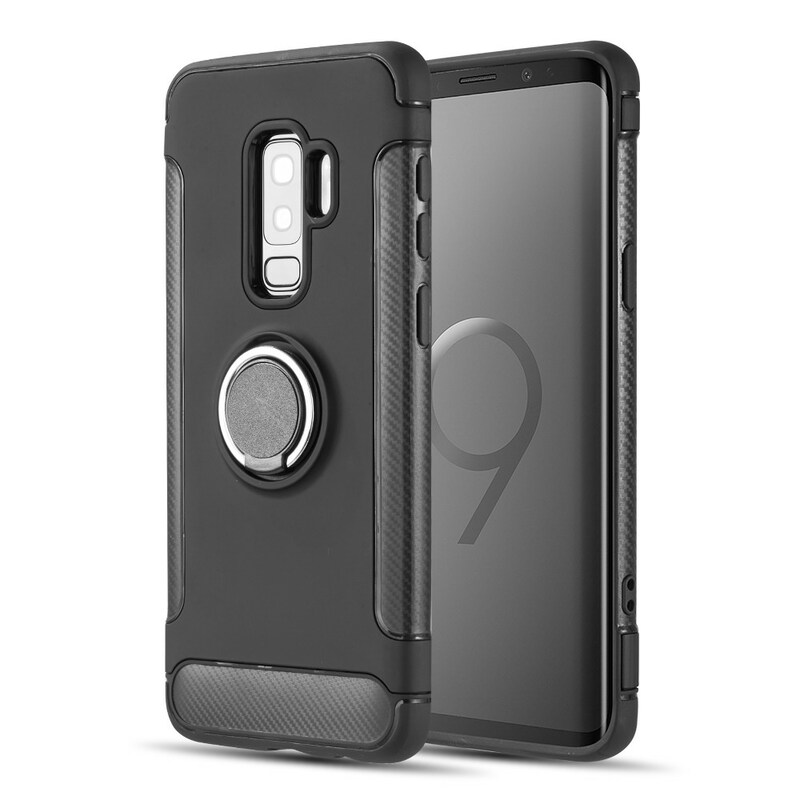 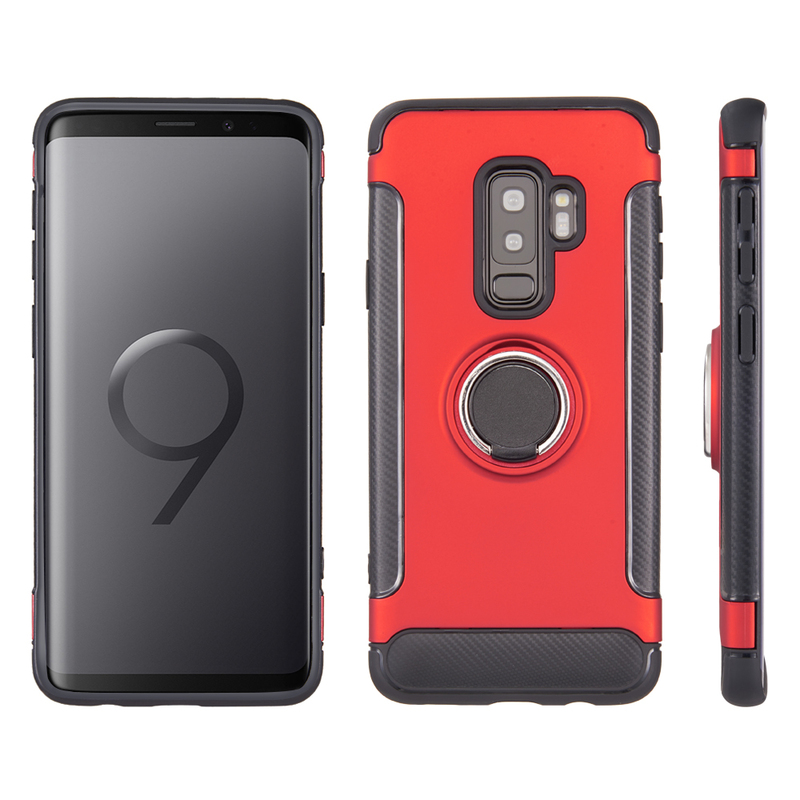 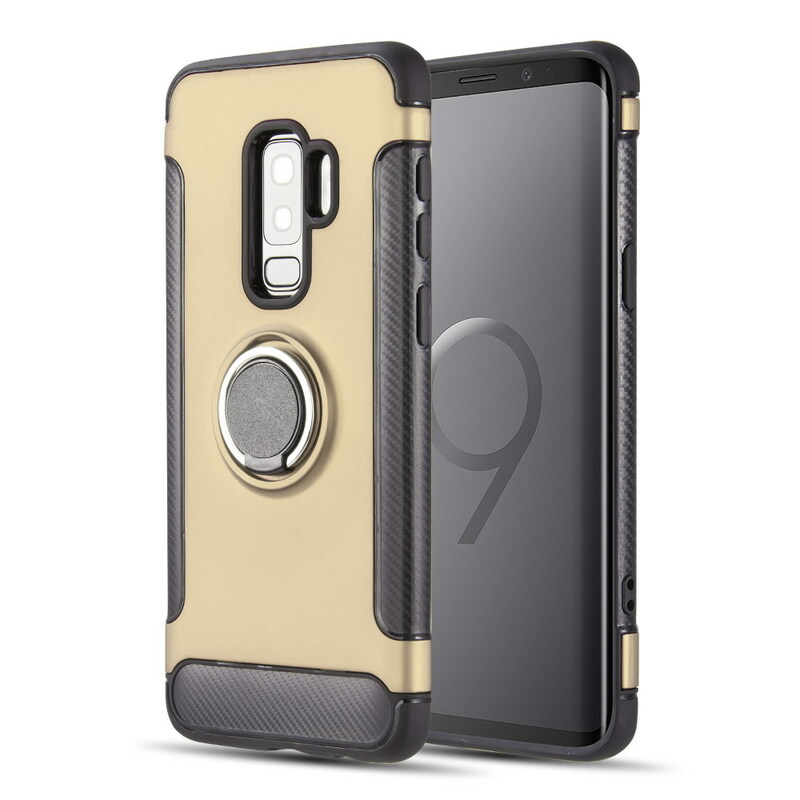 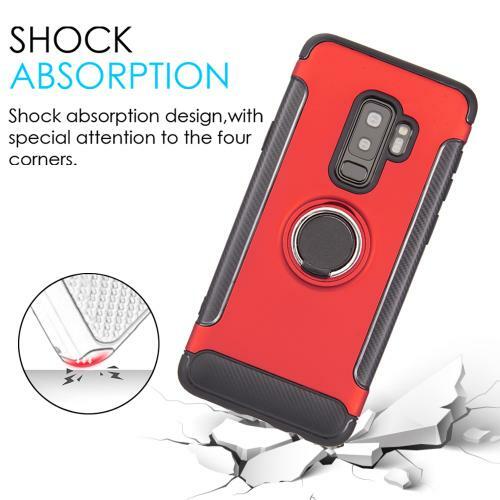 If you are looking to provide the ultimate protection for your Samsung Galaxy S9 PLUS, then think about shielding it up inside this fashionable Red & Carbon Fiber Design Edge 2 layer case with a unique look! 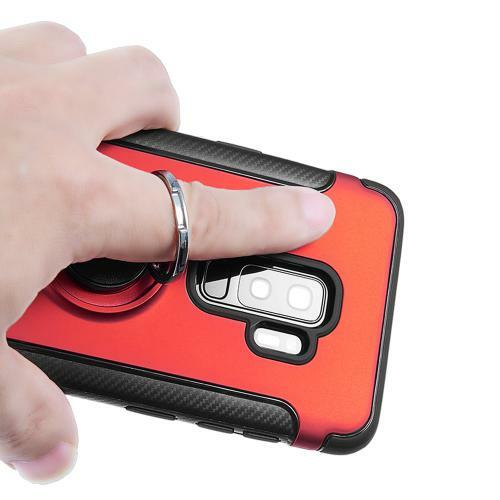 With a built-in ring stand, you won't have to worry as much about dropping your phone! 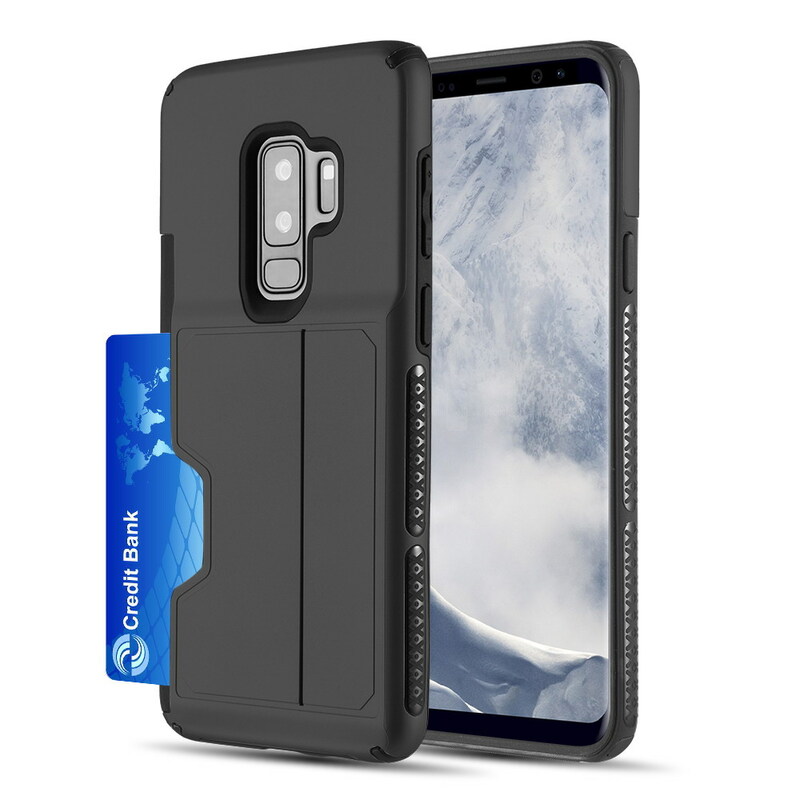 Have a magnetic mount in your car The This case features a magnetic back plate, so just pop that on the mount! 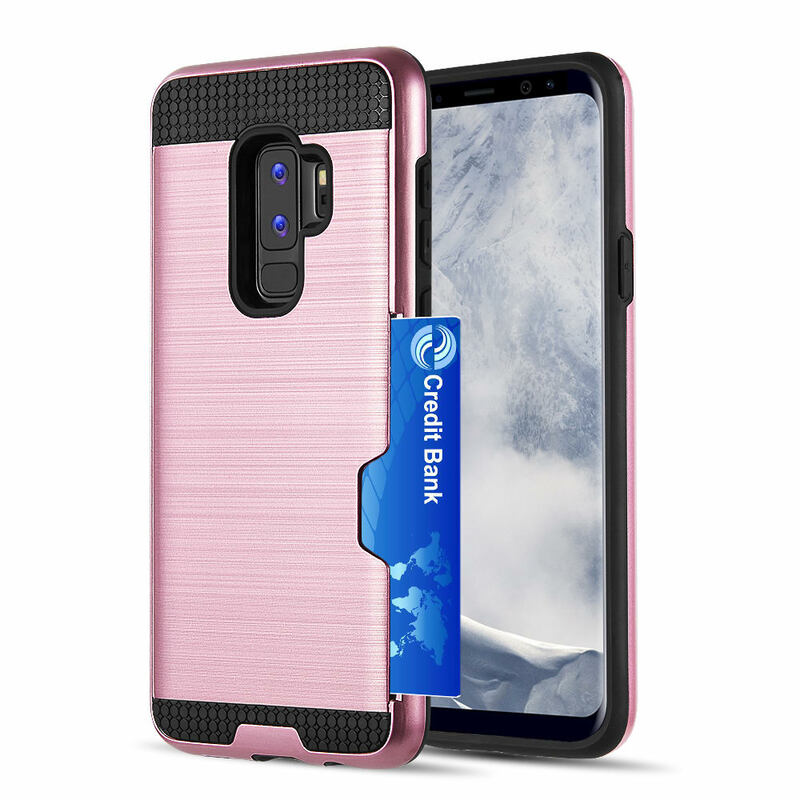 The user-friendly case is used to give full protection to your smartphone from damages and keep it in good condition while maintaining its fashionable look. 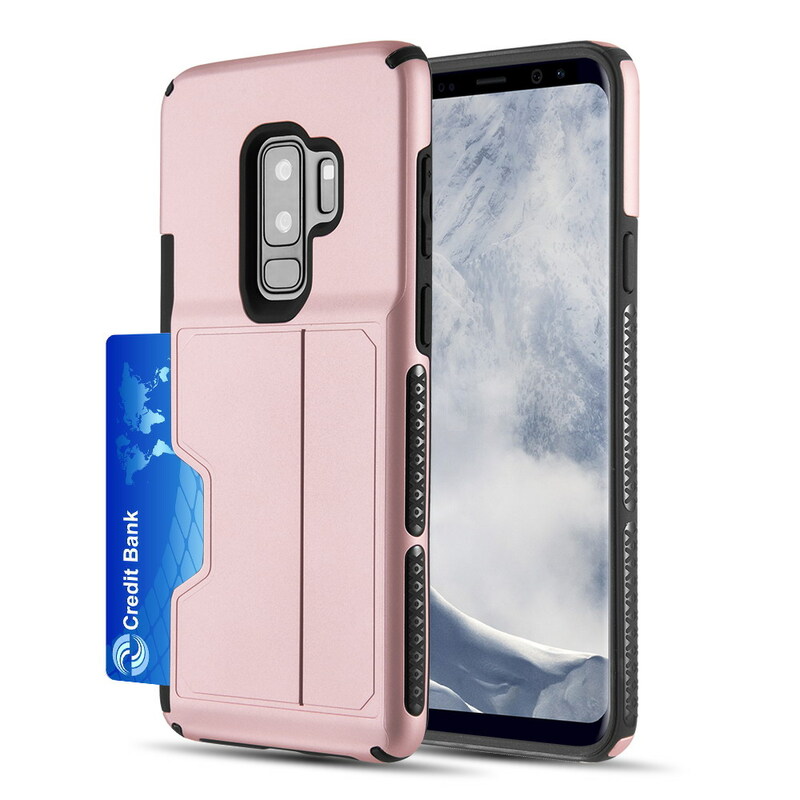 Convenient and easy to apply on to your phone, take it everywhere to bring the spotlight on you and your unique Samsung Galaxy S9 PLUS!